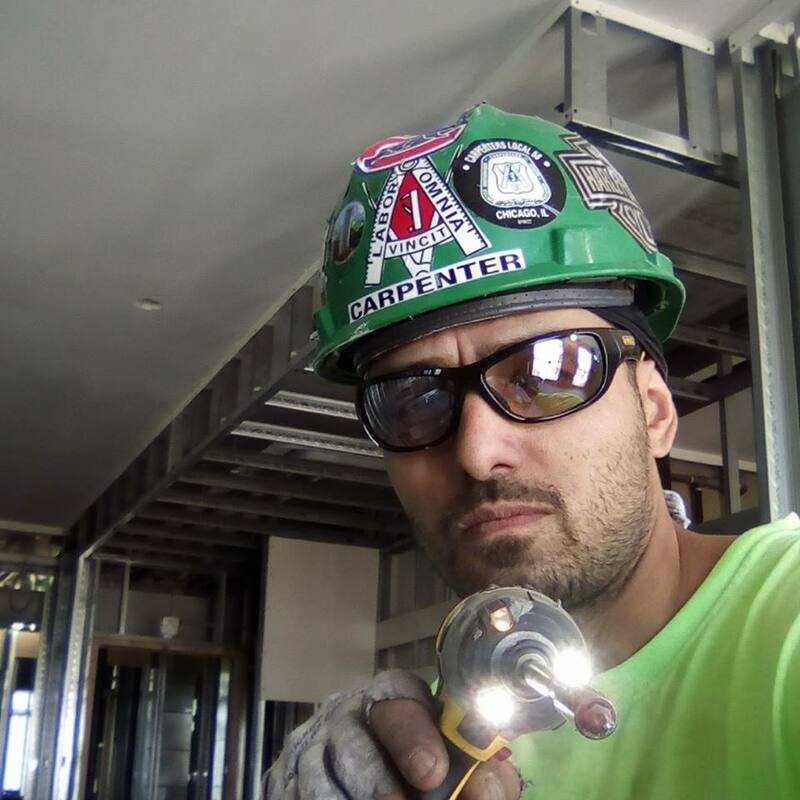 CWB Chicago: FBI: Construction worker robbed Roscoe Village bank of $141,000; "Thank you, JP Morgan Chase!" FBI: Construction worker robbed Roscoe Village bank of $141,000; "Thank you, JP Morgan Chase!" 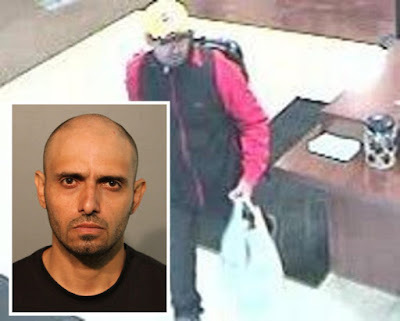 A 38-year-old Chicago man succeeded in taking $141,000 from a Roscoe Village bank during a take-over robbery on September 18th, according to federal prosecutors. But the FBI had little trouble tracking him down because he left his personalized construction helmet nearby and even spelled his first name for one of the bank tellers, a federal complaint says. The robber also handed over a business card from a firearm manufacturing company in an apparent attempt to scare her, the FBI said. “Everyone in this bank is hostage now,” Estremera allegedly said. But, when a customer said she felt uncomfortable, he let her go. When she looked back, Estremera reportedly made hand gestures of a telephone followed by him slitting his throat, the FBI said. While waiting for the teller to return from the vault, Estremera struck up a conversation with another employee. “You’re OK. I’m not robbing you. I’m robbing JP Morgan. Tell JP Morgan Rigo did it.” According to the employee, Estremera then spelled his name, although the employee apparently recalled the spelling incorrectly. As time passed, Estremera made more threats: “If I don’t get the money, I’m going to blow this place up,” he allegedly warned. Eventually, an employee returned from the vault with $111,000 stuffed into a garbage can and gave it to Estremera, according to the federal complaint. With that, Estremera allegedly said “Thank you, JP Morgan Chase!” and ran from the bank. The FBI later determined that Estremera escaped with a total of $141,000. Investigators began to close in on Estremera almost immediately. Their strongest leads came from the Roscoe Village restaurant where he had allegedly been seen praying before the robbery. Among the many items he left behind was a green construction hat with a “Carpenters Local 58” sticker on it, the FBI said. Before long, agents were looking at Estremera’s Facebook page where he is seen wearing an identical helmet, according to the federal complaint. Later, a business near the bank reported that their company truck had been stolen around the time of the bank robbery. About five hours after the robbery, the stolen truck was found parked illegally outside the front door of the Apple Store at 801 West North Avenue. Apple Store employees reported that Estremera had purchased more than $7,300 in Apple products using “very crisp and new bills.” The FBI says he provided an employee with his email address. Two days after the bank robbery, the Chase employees identified Estremera in a photo line-up the FBI says. One day after that, Estremera was arrested and charged with criminal trespass to a vehicle in connection with the stolen truck that was found outside the Apple Store. He’s now charged with one federal count of bank robbery. He is due in court on Tuesday morning for a detention hearing.